Automaker cuts forecast for rest of year. 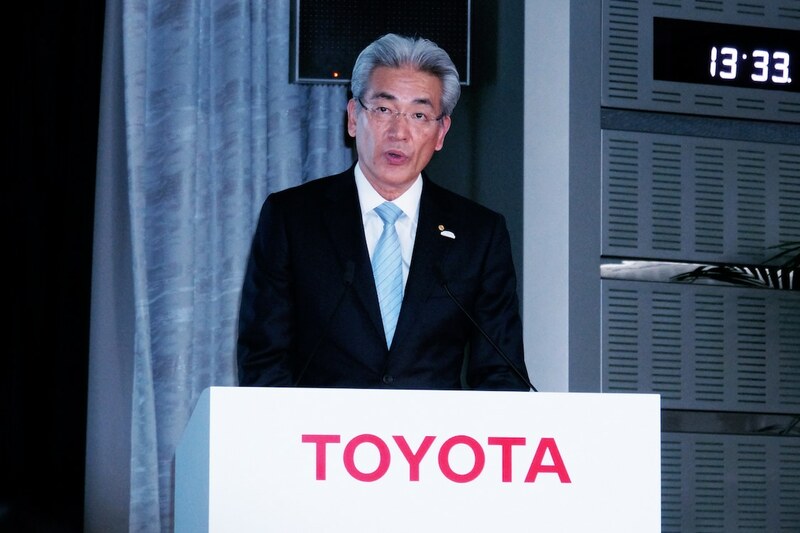 Toyota's Masayoshi Shirayanagi said the automaker is looking for ways to further cut costs. Toyota Motor Co., Japan’s largest automaker, posted a profit of 676.1 billion yen, or $6.16 billion, for the third quarter, up from 673.64 billion yen in the same period a year earlier. However, the result fell short of the street’s expectations of the 680.84 billion yen median of 10 analyst estimates compiled by Refinitiv. The automaker saw rising sales in Asia, particularly China, offset a decline in the company’s largest market: the United States. For the first nine month of its current fiscal year, which end Dec. 31, 2018, Toyota Motor Co. continued posting strong earnings across the board and while demonstrating major strength in key markets such as Japan, China, Southeast Asia and Europe. Consolidated vehicle sales totaled 6,700,902 units, an increase of 22,623 units compared to the same period last fiscal year, Toyota reported. On a consolidated basis, net revenues for the period increased 3.1% to $202.48 billion. Operating income increased from $15.94 billion $17.45 billion), while income before income taxes $15.54 billion. Net income decreased from $18.13 billion to $12.82 billion. TMC cut its consolidated financial forecasts for the fiscal year. Based on an exchange rate assumption of 110 yen to the U.S. dollar and 128 yen to the euro, TMC now forecasts consolidated net revenue $268.18 billion, operating income of $21.81 billion, income before income taxes of $20 billion and net income of $17 billion. TMC Operating Officer Masayoshi Shirayanagi said the company is continuing to trim costs. “As for the cost reduction and fixed cost reduction activities, we are steadily making progress towards achieving our challenge-level target. In order to achieve this, we will follow through with our activities,” he said. The company saw sales decline in North America through the first nine months of Toyota’s fiscal year. Sales totaled 2,091,258 units, a decrease of 39,936 units. Operating income, excluding the impact of valuation gains/losses from interest rate swaps, decreased by $39.63 million to $1.47 billion during the first nine months of Toyota’s current fiscal year. In Japan, vehicle sales totaled 1,595,464 units, a decrease of 44,076 units. Operating income, excluding the impact of valuation gains/losses from interest rate swaps, increased by $1.18 billion to $11.20 billion. It was a different story in Asia, particularly China, as Toyota’s vehicle sales totaled 1,274,858 units, an increase of 126,681 units, while operating income, excluding the impact of valuation gains/losses from interest rate swaps, increased by $539.63 million to $3.55 billion. This entry was posted on Thursday, February 7th, 2019 at and is filed under Asia Pacific, Automakers, Business, China, Earnings, Executives, Financials, Markets, NAFTA, Personalities, Sales, Toyota, U.S./North America. You can follow any responses to this entry through the RSS 2.0 feed. Both comments and pings are currently closed.